In my last presentation at the NCTIES 2016 conference I shared some mobile apps and ideas for using them with ELA and social studies classes (slides are available here). CamFind is one of my favorite apps in the presentation. 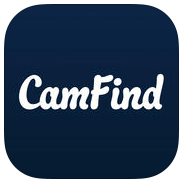 CamFind is a free iOS and Android app that enables you to take a picture of any object and then instantly conduct a web search about it. For example, when I take a picture of my computer bag CamFind instantly starts to search for objects like it as well as web pages about computer bags. I've also used CamFind to take pictures of blocks of text and let CamFind then search for web articles related to the text in my picture. One obvious use of CamFind is on field trips or simple walks around your school's neighborhood. Students could use the app to find information about plants while they walk. They could use the app to learn more about a landmark on a field trip. Another possible use of CamFind is to have students scan passages of text (zoom-in on the page first) and then let CamFind search for related articles. Once they have a list of related articles students could dive deeper by entering search terms into a Google search.